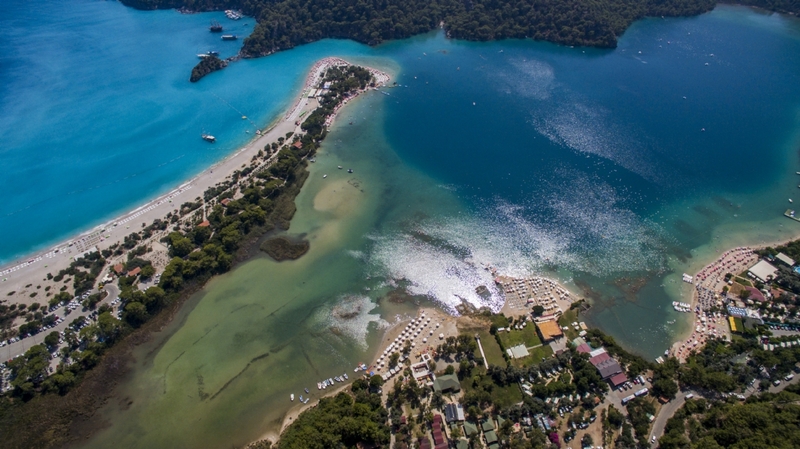 Seahorse Beach Club is located on the beautiful Blue Lagoon National Park in Ölüdeniz, Turkey, and is set in grounds of approximately 10,000 m2. About a century ago the land was owned by a farming family who built two properties, the larger one was used for family living and the smaller one mainly for storage. These two properties(Lagoon Mansion & Carob Tree Cottage) have now been restored providing luxurious holiday accommodation. 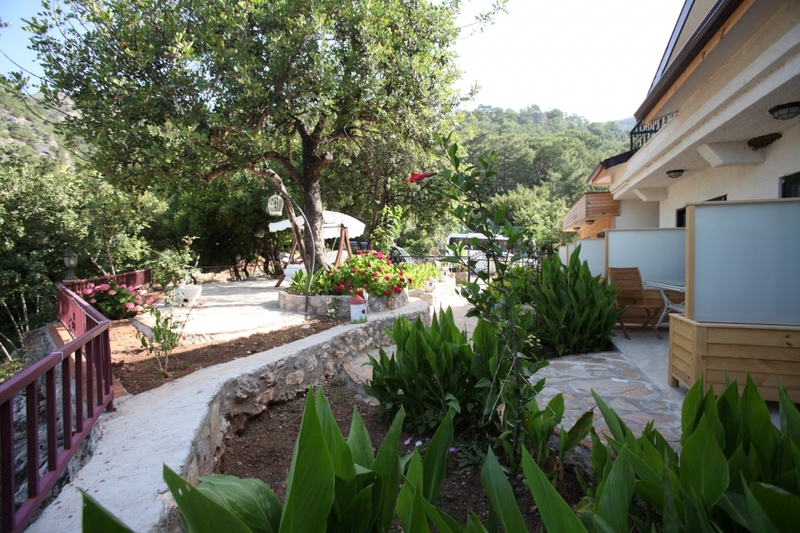 We still continue some of their farming traditions, we make our own Olive oil and Carob molasses from the beautiful old trees on site and use them in our restaurants. 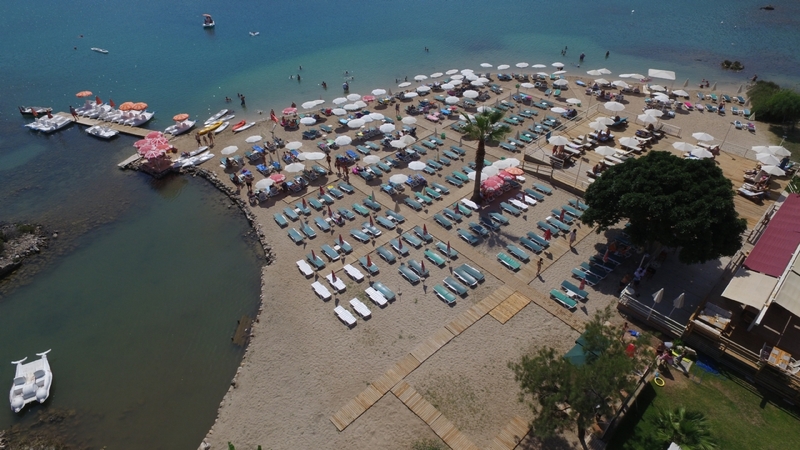 For its daily visitors the Beach Club provides a freepickup and dropoff service for Ölüdeniz, Hisarönü & Ovacik resort hotels. 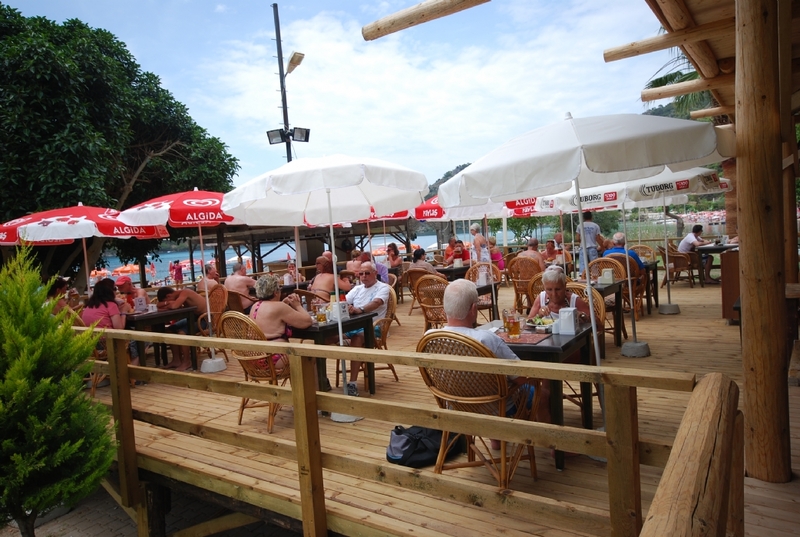 There is an entry fee charged per person which includes a sunbed and umbrella (1 per couple). 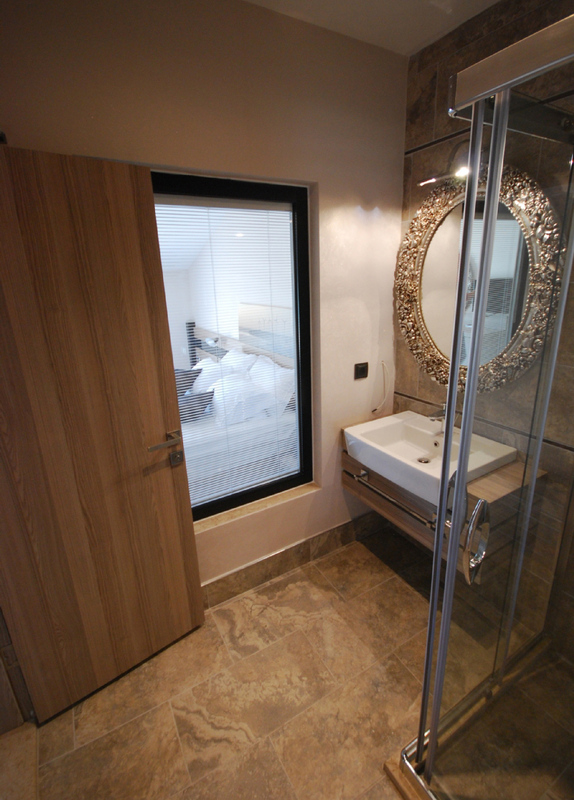 There are also changing rooms and showers provided near the Beach. No motorised watersports are permitted in theLagoon but for our more energetic customers we have canoes and pedalos available for hire. For our daily visitors and residents we have a large parking area on site with room for up to 50 cars. 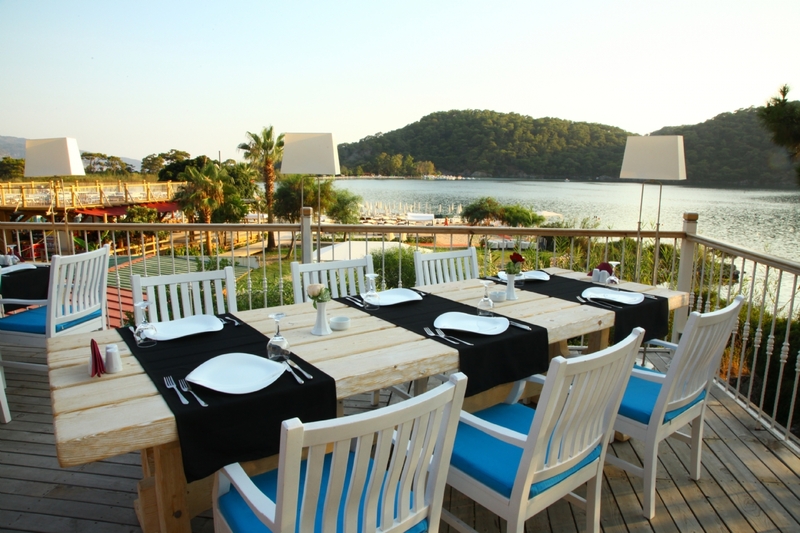 There are two restaurants on site,both providing A La Carte dining, one situated near the Beach mainly catering to the daily Beach Club visitors and one Terrace restaurant which is situated further up the hill away from the Beach in Lagoon Mansion. 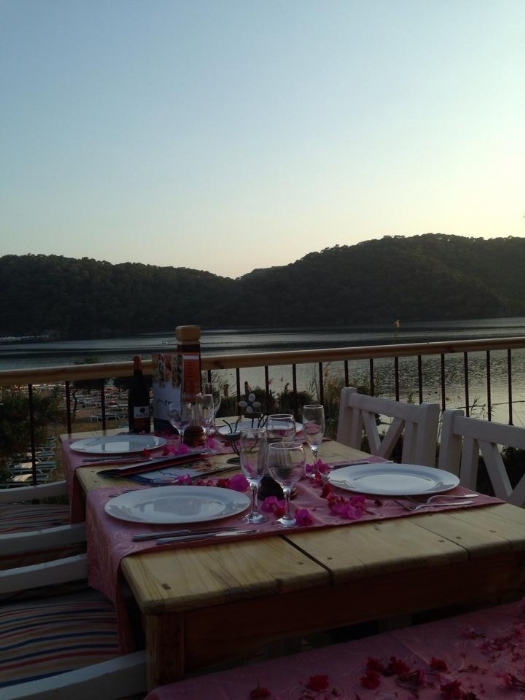 Our Beach Club is also a very popular venue for Weddings (bothTurkish and European),Welcome Meetings, Beach BBQ parties and romantic sunset dinners. 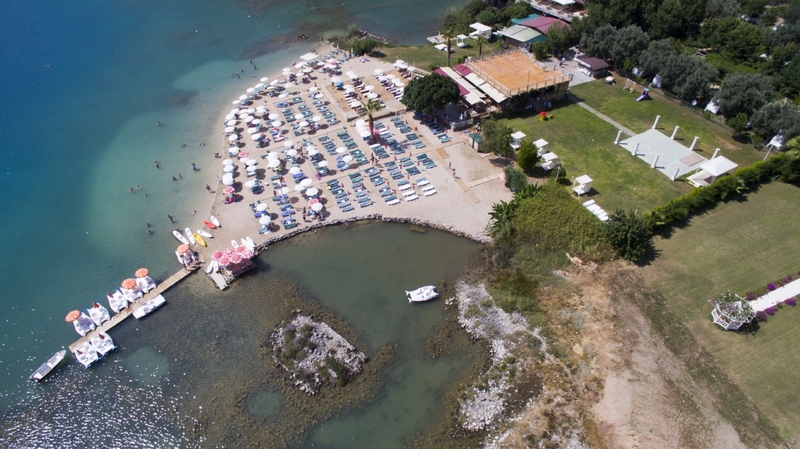 Our customers are always kept informed about what events are on the calender as sometimes it may be necessary to close part, or all, of the Beach slightly earlier than normal to give us time to prepare. However due to our National Park location all events are required to finish by midnight. 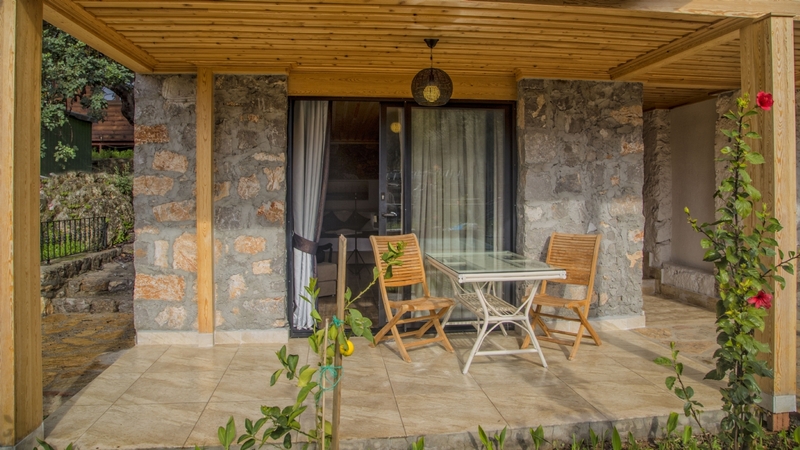 This property has 10 bedrooms, 9 doubles and 1 family room (with 2 bedrooms). 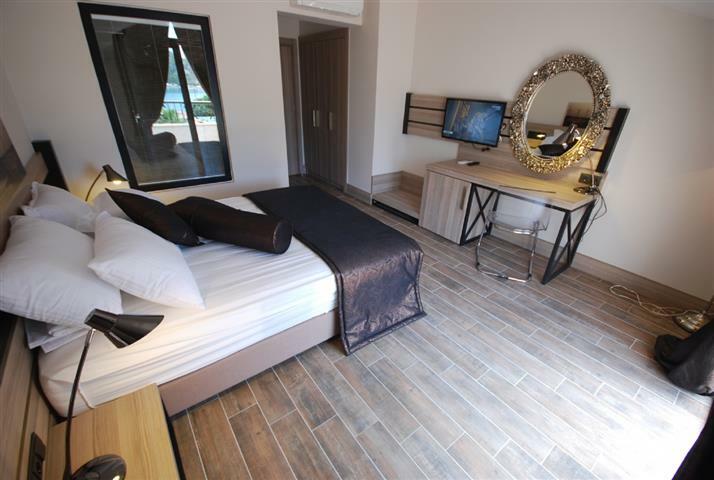 All rooms have king size high quality beds, the latest airconditioning technology for quiet restful sleep, 32” LED tv, minibar, hairdryer, safebox and complimentary beach towels. 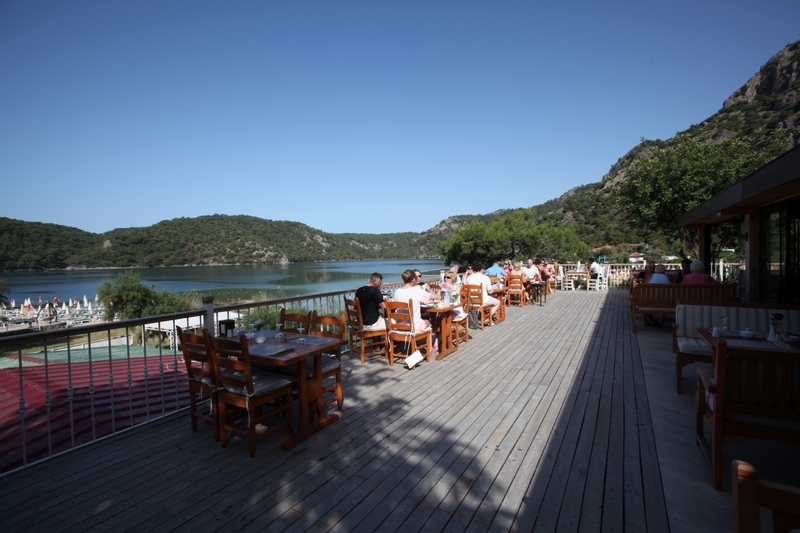 All of the rooms have spectacular Lagoon views. 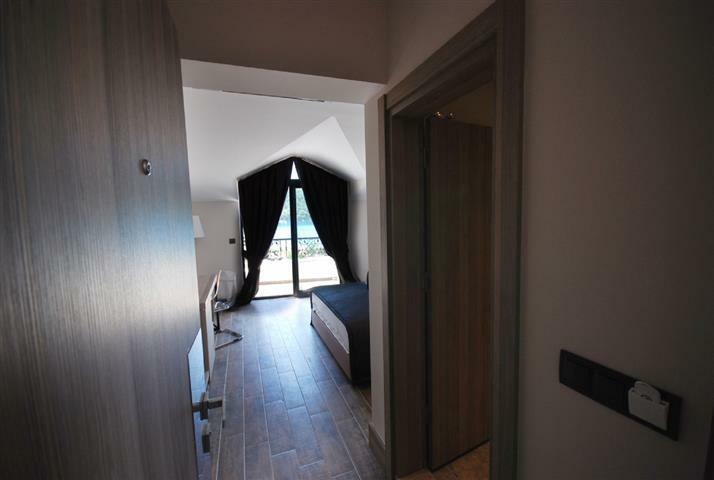 This property has 6 bedrooms, 3 of them are slightly larger with jacuzzi baths. 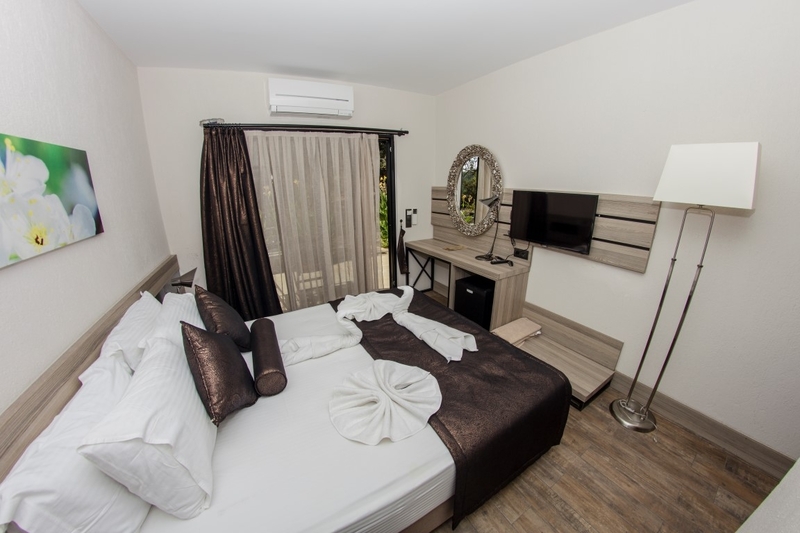 All rooms have king size high quality beds, the latest airconditioning technology for quiet restful sleep, 32” LED tv, minibar, hairdryer, safebox and complimentary beach towels. 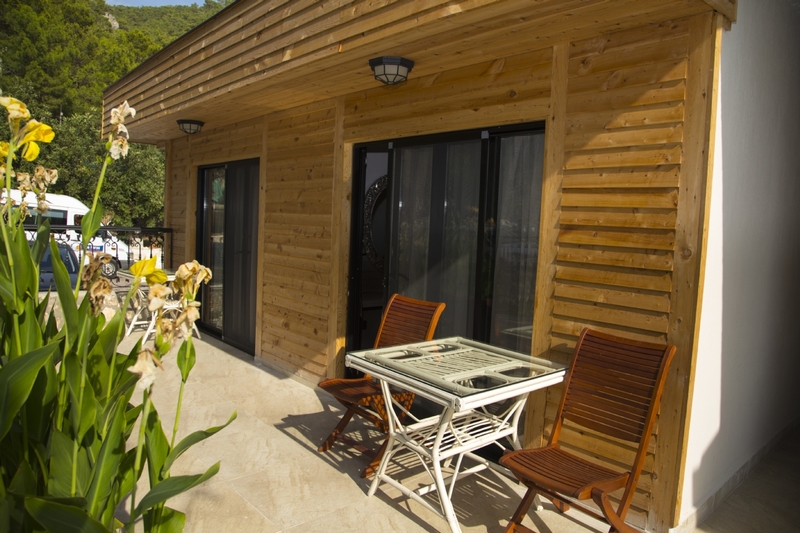 All rooms have garden views. Before restoration this property was used mainly to store the Carob fruit and other farming produce. The Carob fruit seeds are always the exact same size and therefore over time became used as a way of measuring things. This is where the word ‘Carat’, associated with the weight measurement of diamonds and other precious jewels, originated from. 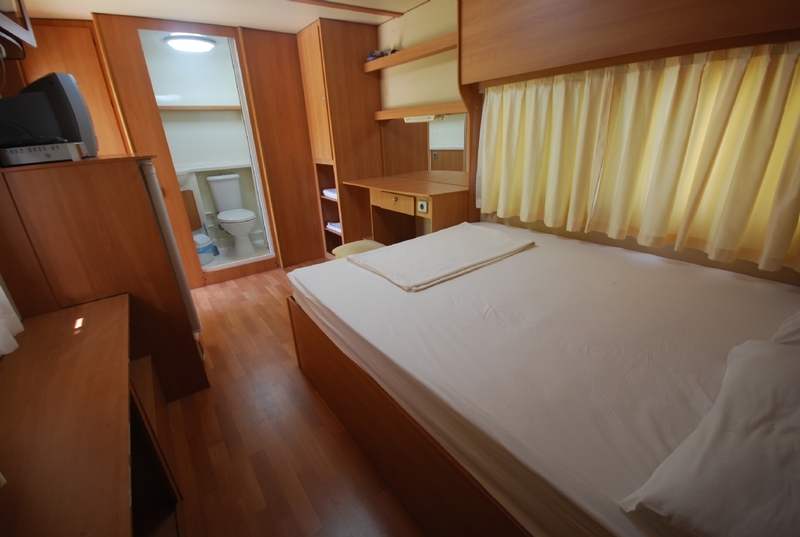 Luxury Double (10 available) – 1 double bed therefore sleeps 2 adults comfortably. 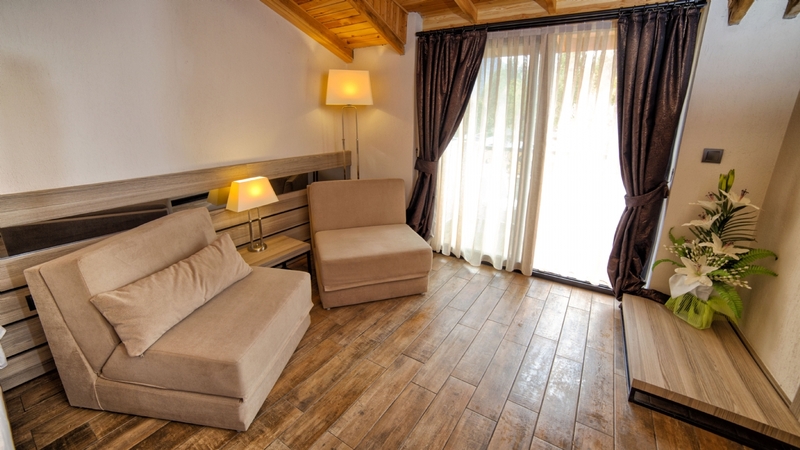 Luxury Family (5 available) – 1 double bed & 1 single bed, therefore sleeping up to 3 adults or 2 adults & 1 child. 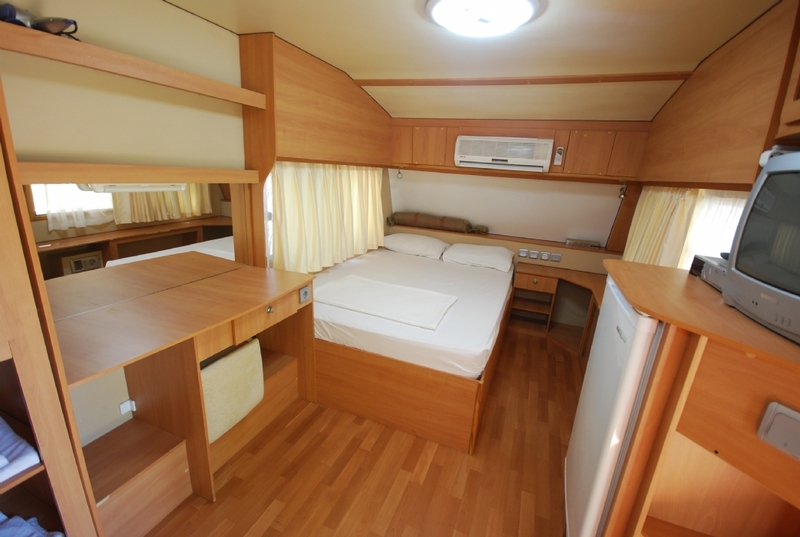 All caravans have high quality doublebeds, airconditioning for restful sleeping, tv, minifridge, hairdryer and safebox. 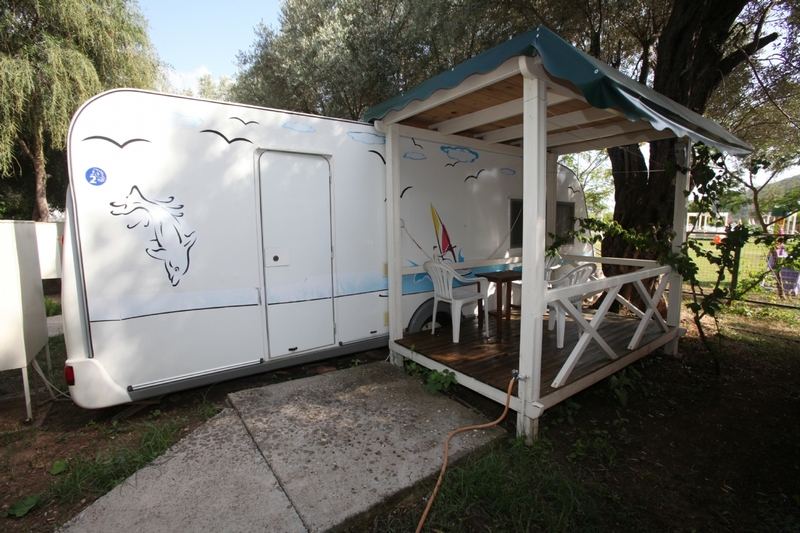 The caravans are set in their own garden area and each one has a small private terrace. 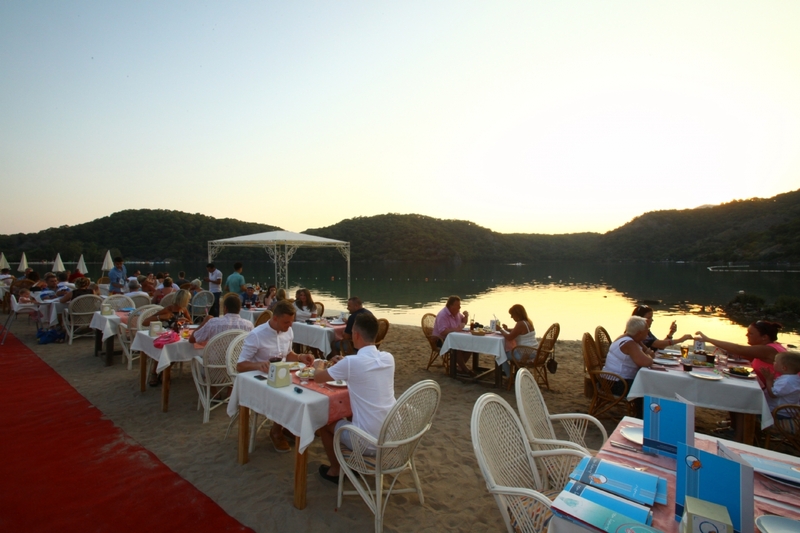 This restaurant is situated very close to the Beach and mainly caters to the Beach’s daily visitors. 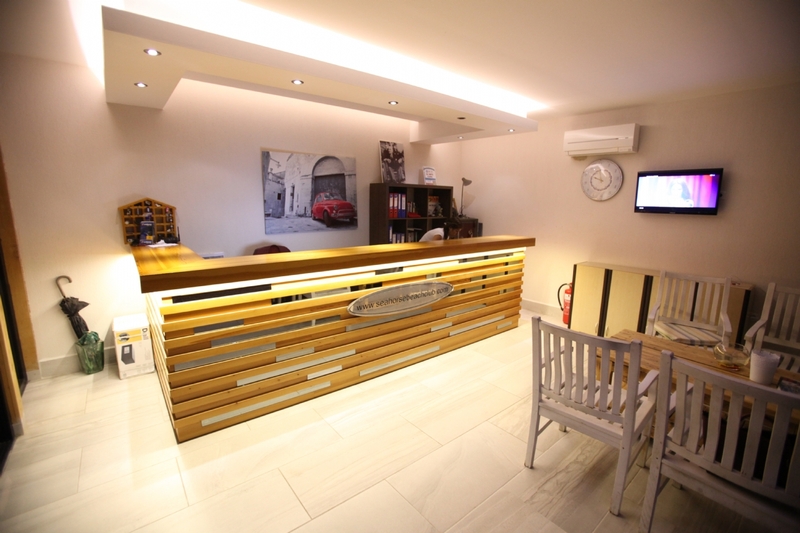 There is a large A La Carte menü available offering everything from English breakfasts and sandwiches to fillet steak or swordfish all cooked to order. 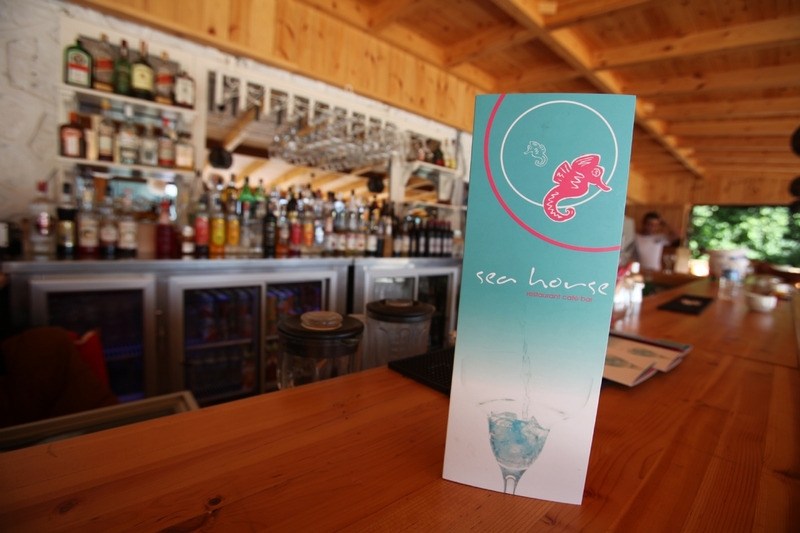 The bar also offers a full range of drinks including cocktails. 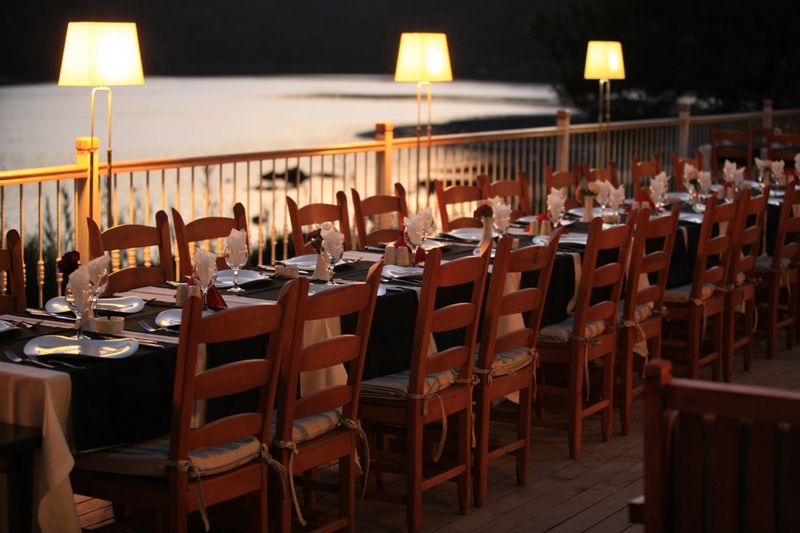 This restaurant is located higher up the hill in Lagoon Mansion and therefore has wonderful views over looking the Lagoon. There is a full A La Carte menü available offering a large range of dishes, all cooked to order by our wonderfully talented chefs. The bar also offers a full range of drinks including cocktails. 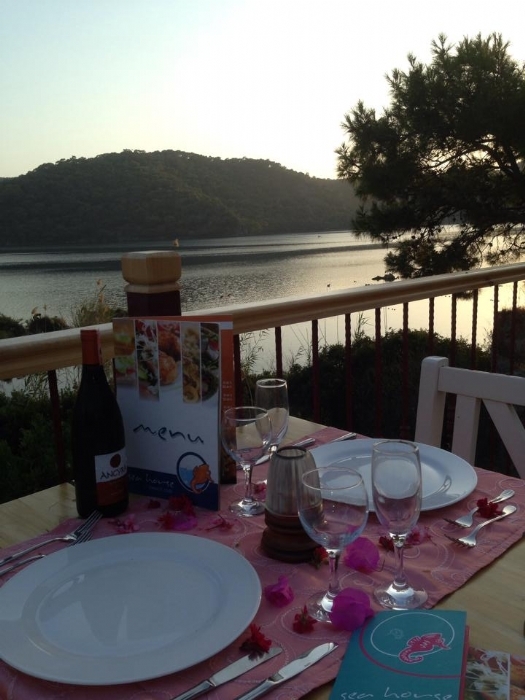 We take bookings for evening “sunset” dining and we also provide a free pickup and dropoff service for Ölüdeniz, Hisarönü & Ovacik resort hotels and private villas. Bring your friends and feel free to party with no worries about driving home. 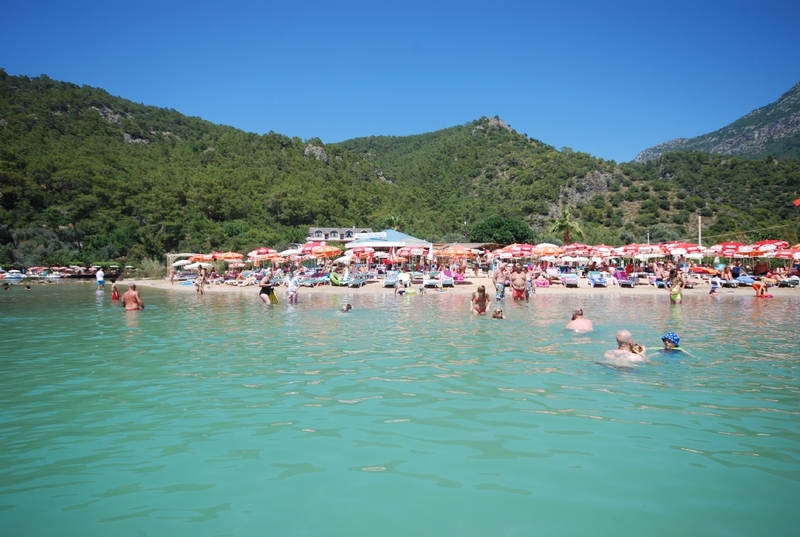 For its daily visitors the Beach Club provides a freepickup and dropoff service for Ölüdeniz, Hisarönü & Ovacik resort hotels. 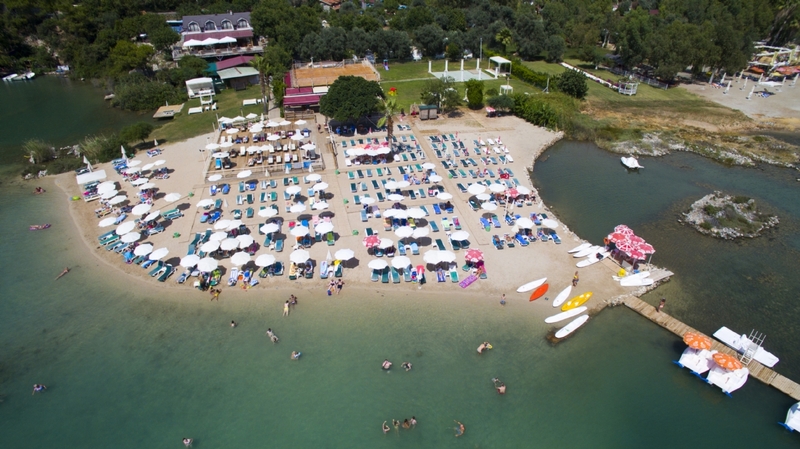 There is an entry fee charged per person which includes a sunbed and umbrella (1 per couple) There are also changing rooms and showers provided near the Beach. 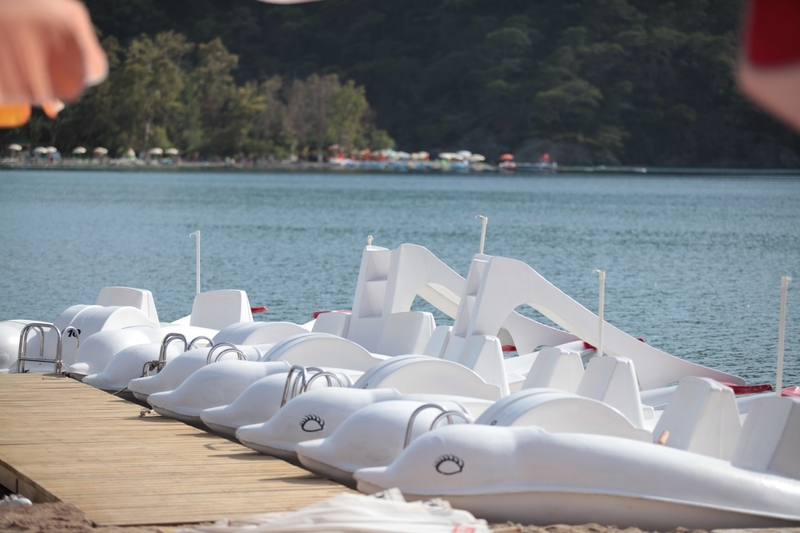 No motorised watersports are permitted in theLagoon but for our more energetic customers we have canoes and pedalos available for hire. 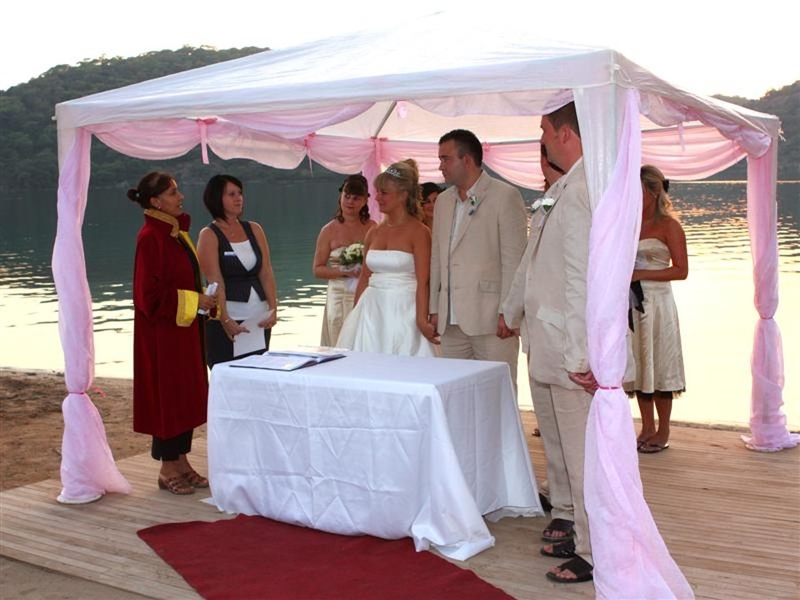 It is becoming more popular to marry abroad these days for many reasons, and getting married in Turkey is probably alot easier than you would think. 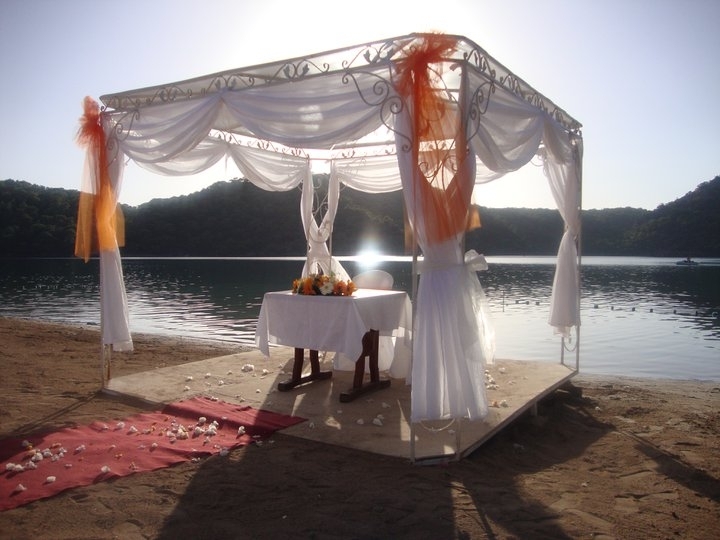 Our specialist wedding planners and our beautiful Beach location ensure that we have many spectacular sunset weddings each year. 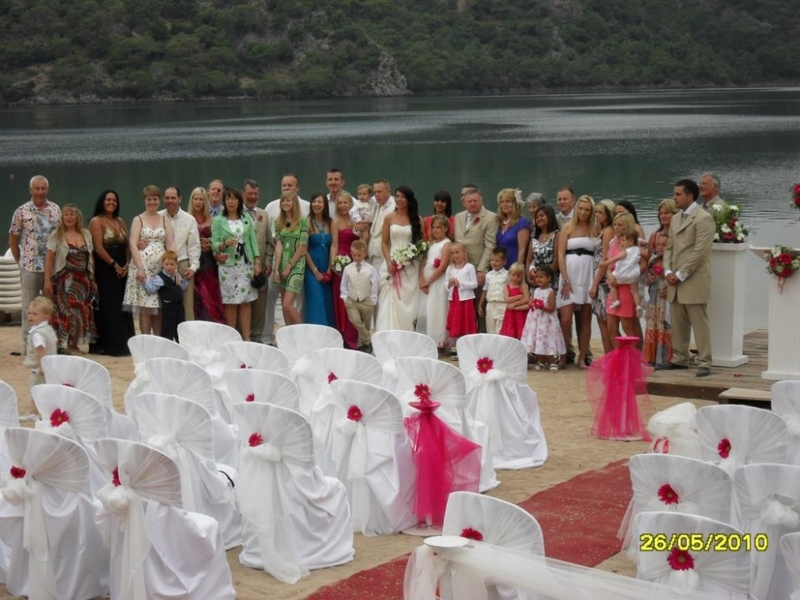 If you would like more information please refer to our wedding website – www.beachweddingsinturkey.com. 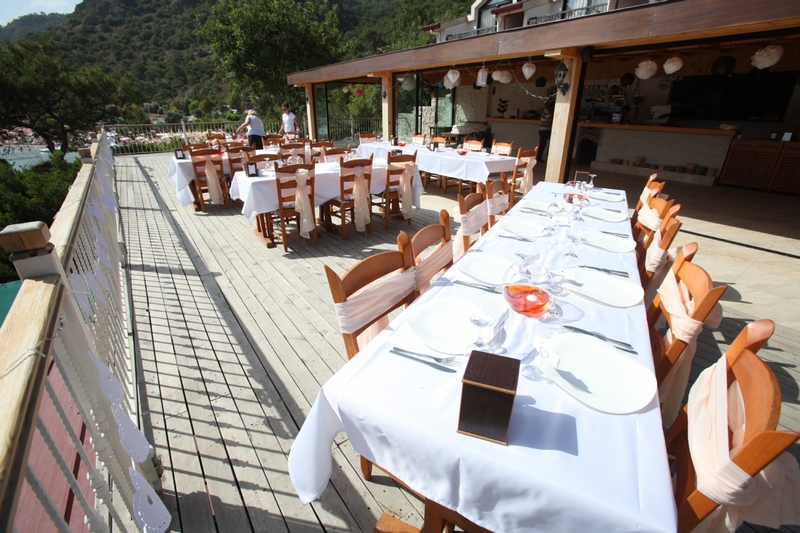 It is not only Europeans who come to us to organise their big day, we also have many Turkish weddings. 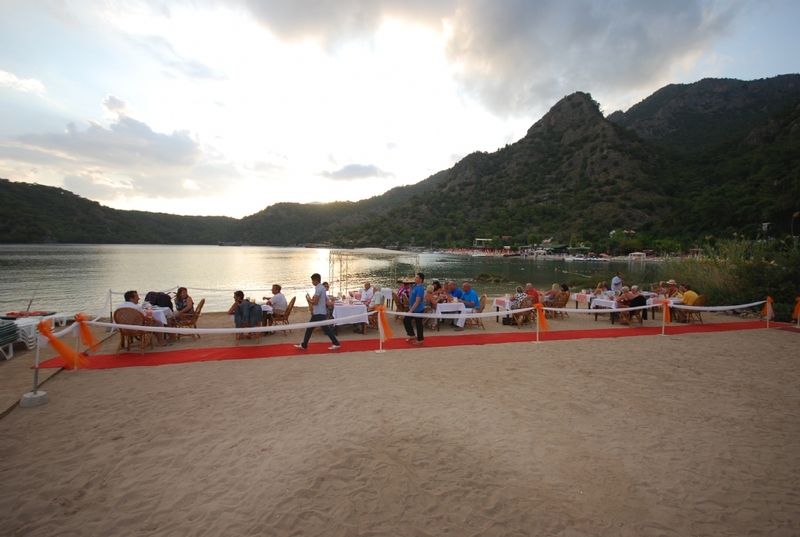 These events are quite different in that they normally happen later in the evening and tend to be alot bigger than foreign ones, the largest Turkish wedding we have hosted was for 2000 guests ! They are generally held in the large garden area near the Beach restaurant, but unlike foreign weddings, food is not normally served at thewedding party. However there is normally lots of live music and dancing so if you are ever lucky enough to be invited to a Turkish wedding, definately go as it will be an unforgetable experience !